As those of you who are regulars to the site will know, I am always keen to find out about our contributors, whether they are amateur or professional chefs. I suppose you could call me just plain nosey. Anyway it is time to spill the beans on Bill Hilbrich. I got an email from Bill some time ago but what with my hospital stay and a few business problems afterwards I have been slow in putting this page together. I am a middle aged eccentric, pleasantly single again after a long marriage. Cooking as a hobby came shortly after cooking became a neccessity in my new solo lifestyle. It also became my mission to remind people who are suddenly on their own, either by choice as in my case, or by chance, that learning how to cook a healthy meal is one of their most immediate and important challenges. Living alone, requires more creativity to maintain interest, stay on a budget, and still remain healthy. Learning to cook solo style meals has become my new hobby and can be very useful for those of us who choose to remain independent. I grew up in Glenview, Illinois, just north of Chicago. After being an undergraduate, I worked for the Illinois Department of Mental Health writing job descriptions . . . which may have been my first job that required any creativity. Then back to school for a Graduate Degree in Hospital Administration, followed by fifteen years of "administrivia" in Veterans Hospitals in five different states. 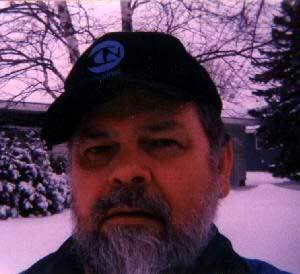 My last job with the VA was in Saint Cloud, Minnesota where I have lived for 25 years now. I did not start cooking until after I left the government and started working afternoons and evenings as a professional fundraiser. Because of the odd hours I had to make my own dinner. I also enjoy baking, and because there is too much for me to eat, I bring a lot of muffins and cookies to work for my co-workers. I was saddened to receive this email in the middle of December. To all of Bill’s friends, close and far, it is with great sadness that William Hilbrich, my father, passed away this evening (5th December 2015). Bill had been in declining health for a few years, and over the past two months that decline accelerated quickly. It is of no surprise my father did not want a funeral service, as he was never one to stand on ceremony. If you have the inkling to send flowers, please do not – instead donate in his name to Feeding America, a domestic hunger-relief charity. I am also not someone to stand on ceremony though I will leave you all with a few statements. I am what I am today because of the values he (and my mother) taught me, and I will never be able to express properly how much I appreciate the guidance and wisdom he provided me while growing up. It was a rare day for him to say “no” to me, and I wish I hadn’t taken advantage of that quite so much. I gained my passion for cooking because of him, and I am sure many of you have received a recipe (or many) from him at some point throughout the years. I am adopted, and people have always asked if I had a desire to find my birth parents, to which the answer was always no – Bill was my father, period. I am thankful for everything he did for me and every minute I spent with him (which was too few). Please ensure your loved ones know how much you love them – you never know when you won’t be able to do so again.